Ninas designs are epitomised by luxury, practicality and a sense of wit. Integral to the Nina Campbell collections is a colour palette that has been developed with a decorators eye, and one that is constantly evolving so that new and existing designs work beautifully together. 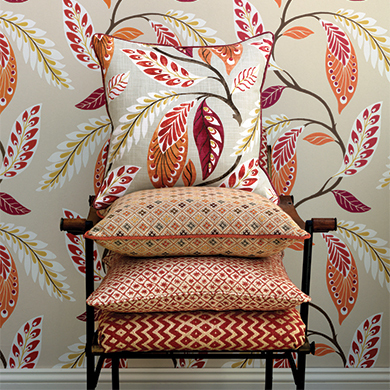 2015 marks twenty-five years of Osborne & Littles collaboration with Nina Campbell as world-wide distributor of her fabrics, wallpapers and trimmings.